This rather exotic heath, with flowers and fruits like a pumped-up blueberry, is four years old. It was propagated from a cutting by our nursery horticulturist Dermot Molloy. Until a month or so ago we hadn’t confirmed its species name, although we knew it was a Papua New Guinean member of the heath family and, we were pretty sure, in the genus Dimorphanthera. There are (or at least were in 2003) 87 species of Dimorphanthera, most of them native to New Guinea or nearby, a region that might be described as eastern Malesia. They are shrubs, small trees or sometimes lianas, but no matter their life form, they tend to climb or drape themselves over other plants. 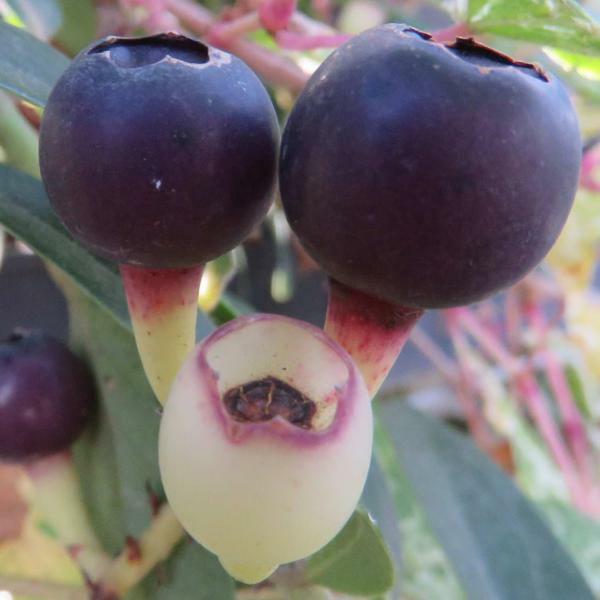 Those plants include relatives in the heath family Ericaceae, such as Rhododendron and a genus more similar to Dimorphanthera, Vaccinium (including species that gives us cranberries and blueberries). The name ‘dimorpho-anthera’ refers to the flowers having two different kinds of anthers, the pollen-bearing male bits. Typically half of these almost woody anthers are bigger than the other half. 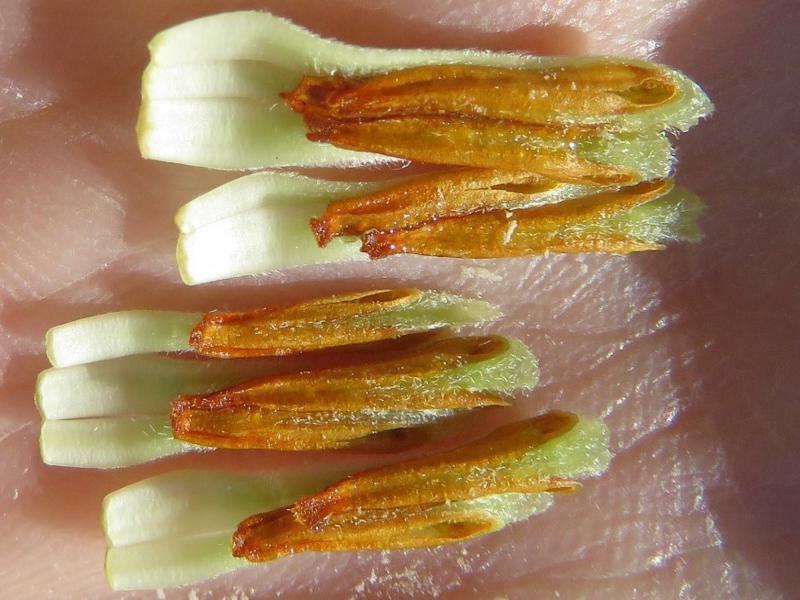 In the flower I peeled open the anthers all looked pretty much the same but they tend to be in pairs, with one longer than the other and with the green bit extending beyond the brown strips, either double or singly pointed (most obvious in the bottom two in the picture above). Apparently such an arrangement is an attractive, or at least productive (for the plant), proposition for visiting birds, which seem to be the targeted pollinators. Mostly I suspect they are just curious about what’s inside the fleshy, porcelain-coloured tube. Our first Director, Ferdinand von Mueller, devised and applied the name ‘Dimorphanthera’ to this group of plants, firstly in 1886 as a subgenus of Agapetes (although not adequately, and a later author, Carl Georg Oscar Drude had to rectify it to meet the needs of botanical nomenclature). In 1890 (above), Mueller raised Dimorphanthera to genus level in the second volume of his notes on Papuan plants, again rather ineffectively (you see various renderings of the ‘authorities’ for this name, including Johannes Jacobus Smith as fixing up Mueller’s genus name attempt). So that’s the genus. 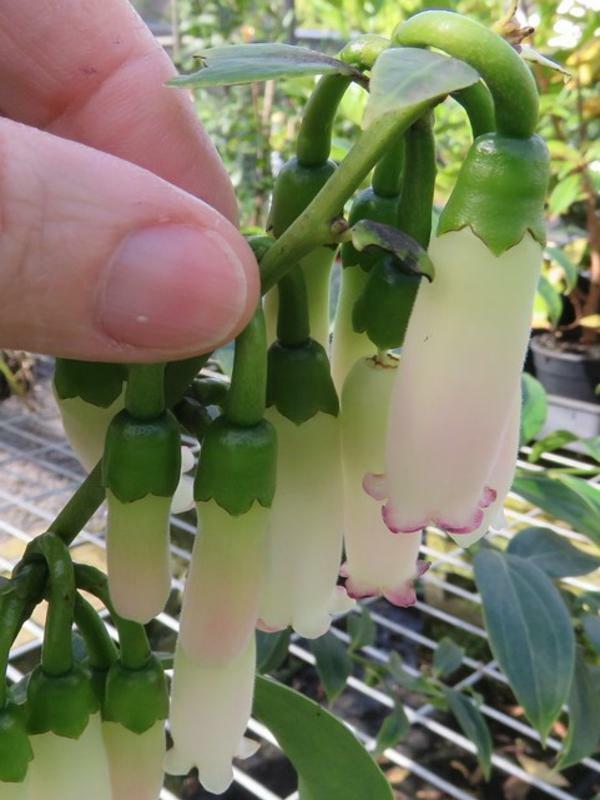 Our horticultural botanist, Roger Spencer, has now confirmed the genus and given it a species name: Dimorphanthera alpina. 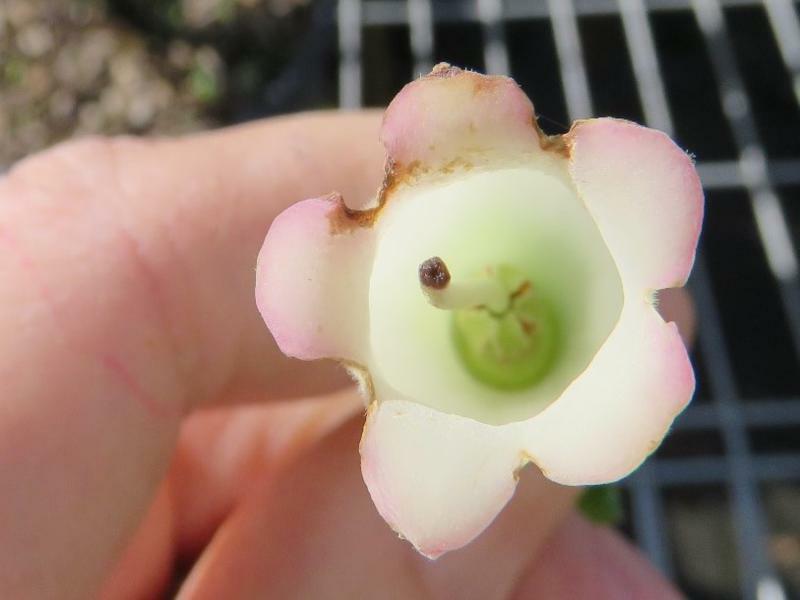 The shape of the green calyx at the base of the flower, the size of all the floral parts and the colour of the floral tube (the fused petals) all match this species. 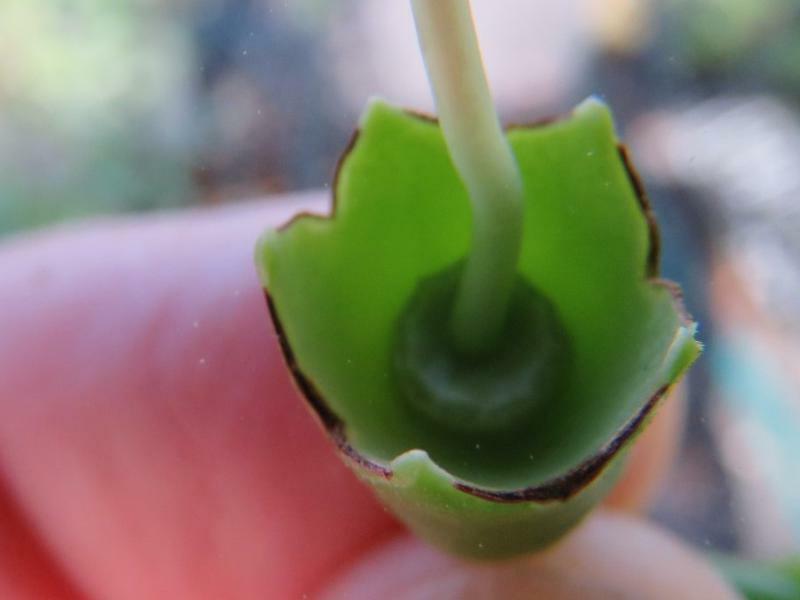 As do the rather cryptic black spots on the edge of the leaf, which you can (just) see in the following picture (along with an unopened flower bud). 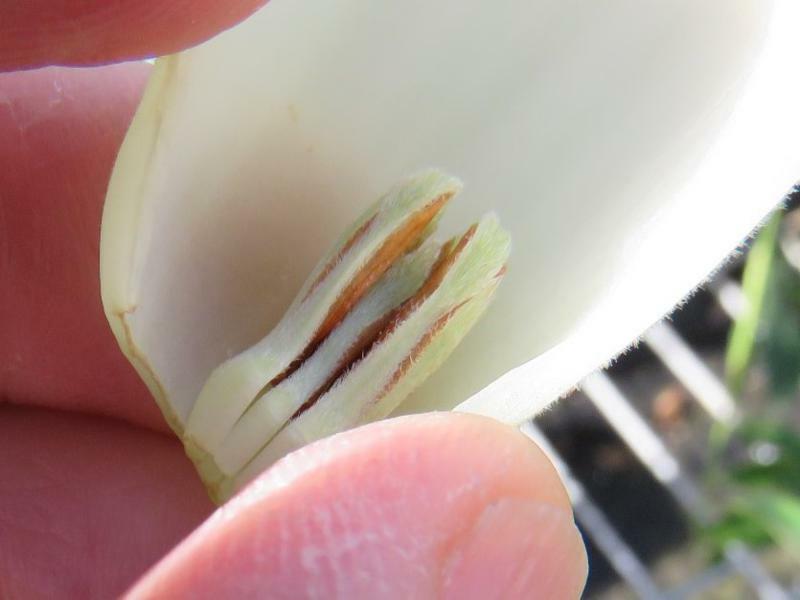 Roger confirmed these spots are actually small teeth, slightly embedded into the leaf margin. 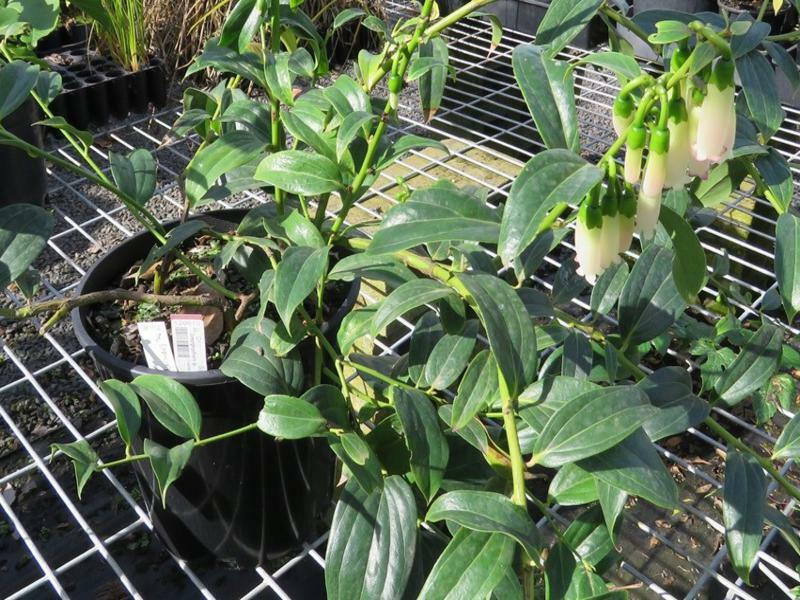 To grow Dimorphanthera alpina it seems best to treat it like a Vireya Rhododendron, providing good drainage and protection from extreme cold (frosts). 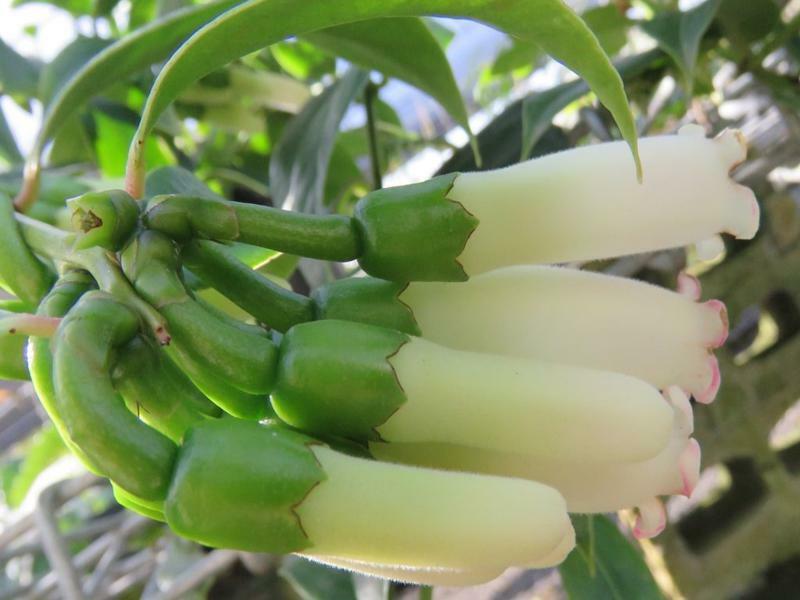 Although from the tropics, as its name suggests, it grows at higher altitudes and will tolerate night temperatures down to around 10 degrees C. Like others in the family (e.g. Rhododendron) it likes acidic soils. Royal Botanic Gardens Edinburgh has an extensive collection of Dimorphanthera, with 19 ‘taxa’ (species, and categories below species like subspecies, varieties and forms) growing in 2012. Elsewhere it’s not a widely grown genus. It should be. Thank you,Tim for the introduction of such a beautiful and delicate plant. Maybe one day, a little cutting will find its way to Sydney Botanic Garden so we can also enjoy its beauty.